AEK Athens is a club with huge tradition and legacy, and here’s how the players feel about it as they prepare for the 2019 Intercontinental Cup. 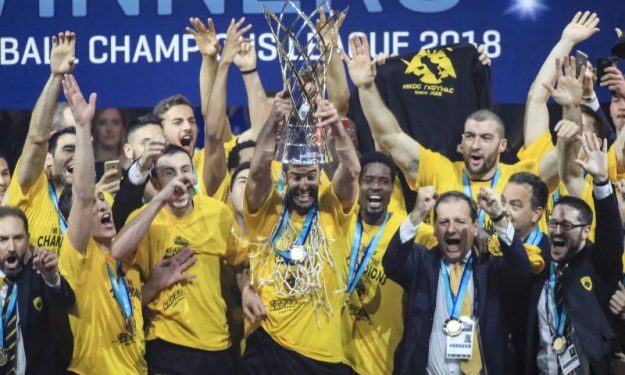 Eurohoops is following AEK’s preparations for the FIBA Intercontinental Cup tournament in Rio, Brazil that will take place from February 15-17, where the reigning Basketball Champions League title holders will face Austin Spurs (G-League), Flamengo (Brazil) and San Lorenzo (Argentina) for the trophy. In part three of AEK’s “Road to Rio” series, players share their thoughts and feelings about the club’s history, tradition, legacy and how it influences them with moving forward.